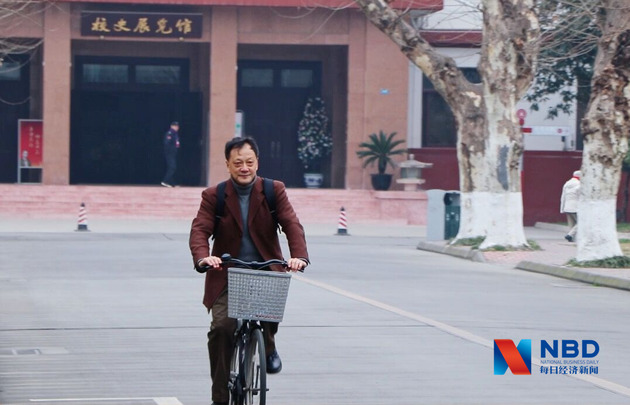 Jan. 23 (NBD) -- It was a usual day for Professor Shi Jian, coming to work riding on a bicycle just like what he did in the past 22 years, and parking the bicycle in the same position in front of the college building, only to be notified of winning a prize. Professor Shi, a former vice president of Sichuan University, was the first winner in five years of the top prize of Excellence in Teaching Award granted by the university, one of the earliest higher education institutions in China. The award is aimed to recognize outstanding and dedicated teachers serving students. When he was told about the news, the 66-year-old professor was surprised at first because he had no knowledge of the recommendation by his college. Shi immediately decided to donate the prize money of one million yuan to set up two funds, one for student scholarship and one for caring for the young and middle-aged teachers. On campus, NBD met with Professor Shi, and expectedly with his bicycle. The bicycle has accompanied him for about two decades. Being as persistent as he is with his bicycle, Professor Shi has dedicated over 40 years of his life to teaching. Shi Jian started his teaching career in 1977 at the College of Foreign Languages and Cultures of Sichuan University where he graduated with flying colors. Constant learning is what Shi bears in mind in his teaching career. "A teacher should be well cultured and educated. Multi-layered training is necessary." After teaching for four years at the college, Shi went to Canada as an exchange student in 1981. Two-year study in Canada kindled within him the love and enthusiasm for Othello, King Lear…Prometheus Bound, Oedipus the King. Every Wednesday evening, Mr. Webber, who taught Shakespeare's plays and ancient Greek drama, came with assistance of seeing-eye dog and taught the class in University of Regina, Canada. Smiling in gratefulness and admiration, Shi said, "although Mr. Webber can't see with his physical eyes, yet he teaches and touches students with his mind's eyes." Moved and inspired by Mr. Webber, Shi experimented with content-based teaching, analyzing and appreciating Shakespeare and ancient Greek theatre with his students back at Sichuan University. At the age of 39, Shi gave up his stable life and promising job at home and went to Lehigh University in the U.S. for a doctoral degree, while many people at that age probably wouldn't bother to make a change. "For a good teacher, qualification is very important," Shi said. Yearning for advanced studies, Shi set foot on the road to the U.S. with scholarship covering a mere 8 months. To pay for the living expenses there, Shi worked as a truck driver, waited on tables, sold computers and even taught English to illegal immigrants in prison. Despite hardship, Shi has never ceased his steps in pursuit of new knowledge. "My mom has set an example for me. What I've learned from her is that one should keep reading, thinking and improving themselves." There, Shi met with his PhD supervisor, Dr. Peter G. Beidler who has exerted great influence on him. "I teach because teaching is a profession built on change. I stay alive as a teacher only as long as I am learning." Shi quoted the impressive lines of Dr. Beidler's famous article Why I Teach which is included in the book College English published by Shanghai Foreign Language Education Press in China. "Life is short, as it is simply linked by a birth certificate and a death certificate. Being a teacher gives me the opportunity to live my life to the full," Shi said. At the mention of Mother Teresa who's shared her whole life with the most needed people, Shi regards teaching as a way to live a life of compassion and purpose for him. Having graduated with the doctoral degree, Shi gave up the offer to work in the U.S. and came back China in 1996. With his expertise and experience, Shi wanted to come closer to students in the region where education is most needed. "A teacher has the responsibility to guide and help the studious and diligent students who need you most. There were numerous excellent students in China, especially in western China where development lagged behind in the 1990s." A truck-load of books came along with Shi, some of which were the gifts from his mentor Dr. Hunt who taught Southern Studies. 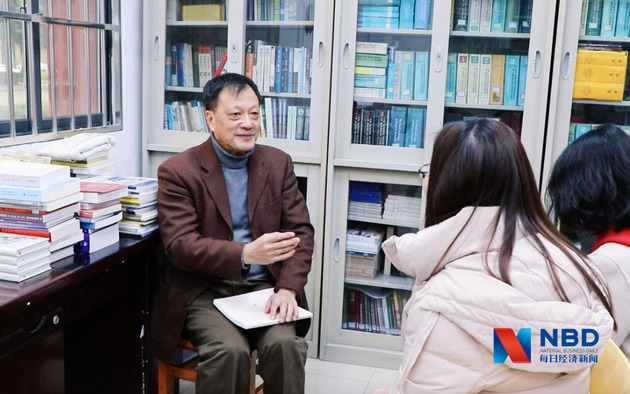 In the third year of Shi's doctoral program, Dr. Hunt asked Shi about his plan after graduation, "I'm going back home, back to Sichuan University," Shi replied. Without hesitation, Dr. Hunt decided to give all his collect books on Southern Studies to Shi, hoping Shi would teach and influence more people with those books back in China where such materials were rare at the time. "Those books were envy of my classmates," Shi smiled. Caring deeply about students in western China, Shi became a member of the English Teaching Advisory Committee of Higher Education under the Ministry of Education in 1998, voluntarily shouldering the responsibility to offer guidance to young teachers and teaching reforms in the region, especially areas inhabited by ethnic minorities. Shi also serves as deputy chair of National English Teaching Association of China and deputy director of the English Teaching Advisory Committee of Higher Education of Provincial Department of Education of Sichuan, among other positions, dedicated to making a change in regions where education is most needed. When Shi was a PhD student at Lehigh University, he scored 99 points for the Old English course. His mentor, Dr. Vicker said to him, "99 is the highest score I've ever given to my students, and the remaining 1 point is your lifetime climbing." The words "lifetime climbing" have been keeping the flame of perfection alive in Shi's mind. Now, aged at 66, Professor Shi is approaching retirement from his position. 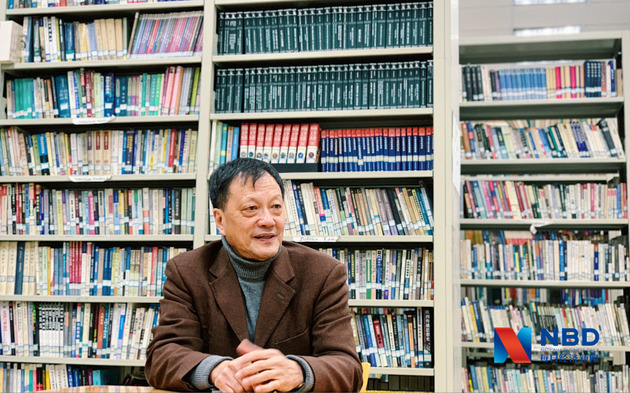 In the interview with NBD, Shi depicted his retirement life where he continues learning and teaching as expected. He plans to acquire both the master's and the PhD degrees in public health, emphasizing on communal health study. Shi's interest in public health dates back to his research on Native Americans in the U.S., which focused on public health promotion and disease prevention. "I am considering combining my research experience with knowledge of public health and initiating research on water resource, air resource, dietary structure and cultural habits of communities in remote areas and of China." It's no surprise that Shi intends to expand his academic boundary, as that "1 point" left in the hands of Dr. Vicker has always been motivating him to explore further. Apart from academic arrangement, voluntary teaching is indispensable in Shi's retirement plan. "When I studied in the U.S., a teacher who has retired for years continues to help students with thesis and course enrollment." Shi, too, plans to find a table in the reference library and spend two half days a week discussing study, jobs and life with students after retirement. Enriching and sharing himself, a teacher or not, is what Shi has been pursuing in his lifetime climbing journey.